I sent out a challenge calling all soapmakers to submit their mosaic inspired soaps! I must say I have gotten some amazing responses. Allow me to introduce you to Shelly, who will be sharing the soap she made. Mosaic Inspiration from a river bed. Photography by Mundy Hackett. Hello, Artisan Shelly Here! For this Majestic Mountain Sage Soap Challenge of creating a Mosaic Soap Inspiration, I found many famous paintings using the mosaic backdrop. In my search for something original, I found that the greatest Mosaic artist to be the Maker of the Universe. Life itself has explosions of Mosaic Art from the colorful rocky riverbeds to the Majestic Mountains. 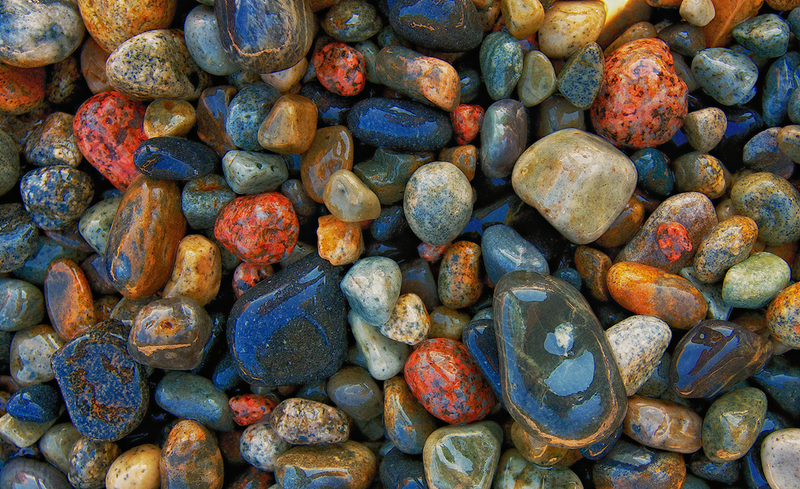 My First submission is that of a Colorful Colorado Rocky River Bed. I have submitted a picture that was taken from a photographer named Mundy Hackett. For my scent choice on this submission I have chosen to use the Majestic Mountain Sage Fragrance named “Just For You”. I can just imagine floral scented water running off of a Majestic Mountain and running right into a riverbed. When I inhale this scent from MMS, I feel as if wild roses and other sweet floral are scattered throughout the side of a mountain where the run off into a riverbed would be romantically refreshing. My second submission is that of a slab of stone cut out of the splendid Firework Mosaic Mountains in China where you can find a national geological park(Zhangye Danxia Landform). 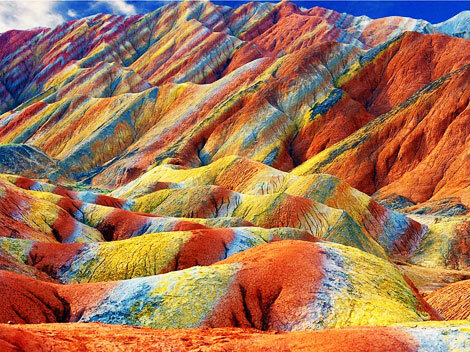 This Geo Park is full of Brilliant streaks of color that are embedded right into the actual rock of the mountainside. In the Gansu province you can find these impressive mountains of colors that make up a landscape that stretches for about 300 square kilometers and is worthy of a fantasy world. Its a little rain climatic zone that shares with the Gobi desert and travelers say that the park is reminiscent of bottles with colored sand . This show of random colors on the layers was formed by successive deposits of minerals of varying pigmentation in the rock layers. The Indo-Australian collision and tectonic plate of Eurasia were responsible for causing ripples in the relief that resulted in this impressive and surreal Mosaic landscape. Just like the Mosaic Art we find in paintings that is a collection of colors and shapes, I took the same concept and developed my own Fragrance. A Sweet but Weathered blend of Pure Wilderness with splashes of Mint, Clover leaf and Evergreen trees along with misty morning hues of Cedar and Nutmeg. 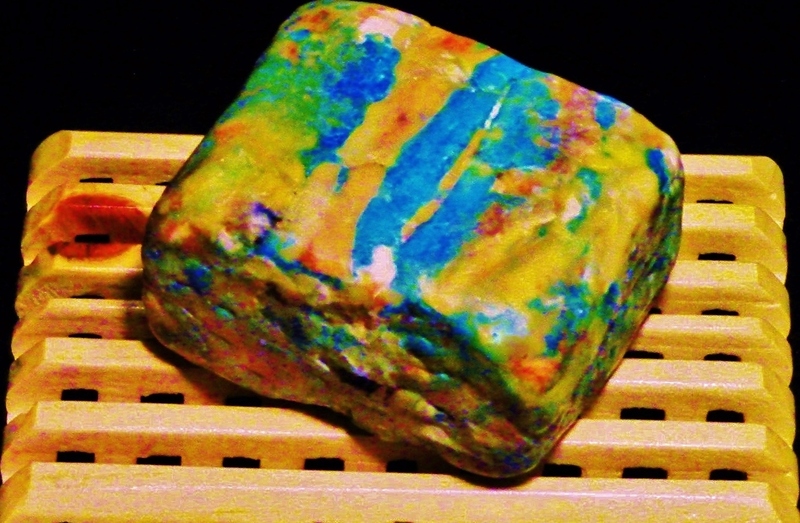 An Earthy Sweet Scent that gives this special Mosaic Soap Lots of Justice!! Wow! Shelly’s soaps are great! But so are the others I have waiting to be shared. 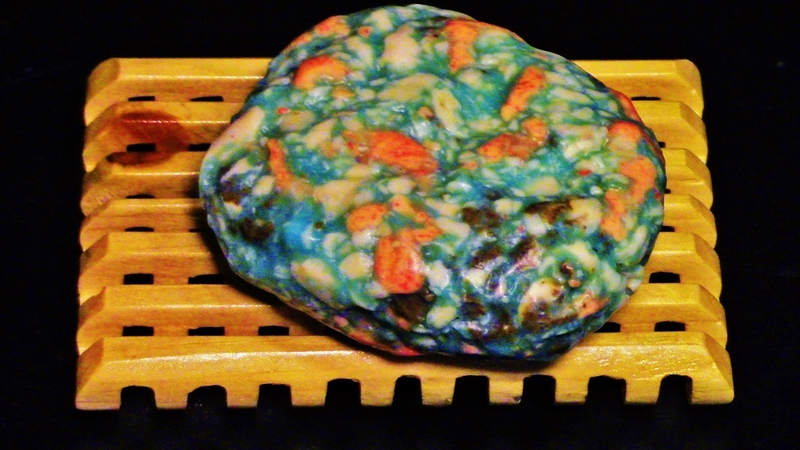 Come back tomorrow for another amazing Mosaic Challenge Soap! Shelly, I love the inspiration behind your Mosaics! How very cool, the video and music really compliments your story, mosaics soaps, and scent creation. Beautiful!